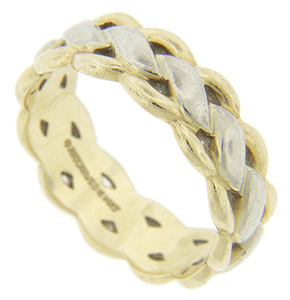 Scalloped yellow gold edges frame a spiraling white gold design on this 14K bi-color gold estate wedding band. 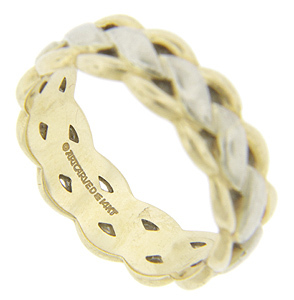 The ring measures 7mm in width. WB2037 is a matching women's version. Circa: 1960. Size: 8. Cannot be re-sized.